Classes are divided by gender and age. Cash and prizes are awarded for the top finishers. Medallions are sponsored by Farm Bureau. 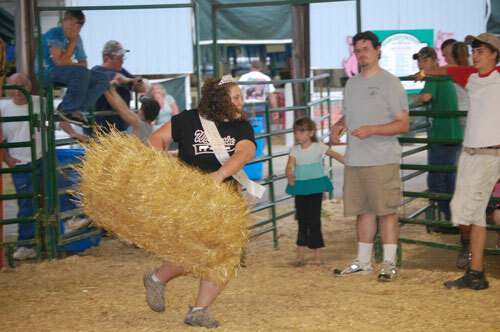 Usually at least some members of the fair court also give the contest a heave. The contest is sponsored by Slades Corners Lucky Clovers 4-H Club. 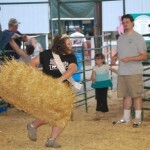 The Kenosha County Fair runs this year from Aug. 19 to 23. Posted in: Kenosha County Fair.